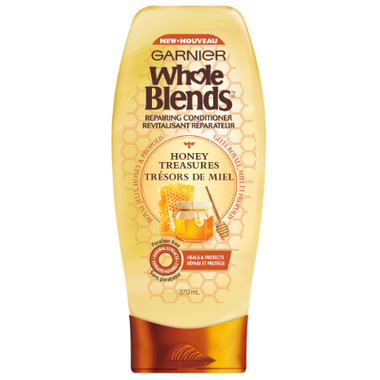 Garnier's creamy, lush formula blooms with a delicious fragrance of royal jelly, honey & propolis, bringing to life our wholesome care that strengthens hair & helps prevent split ends & breakage. Easily the best conditioner I've ever tried. My hair is thick but fine textured and delicate. This makes it so shiny but never builds up. I use it on my daughter as well because it's paraben free.